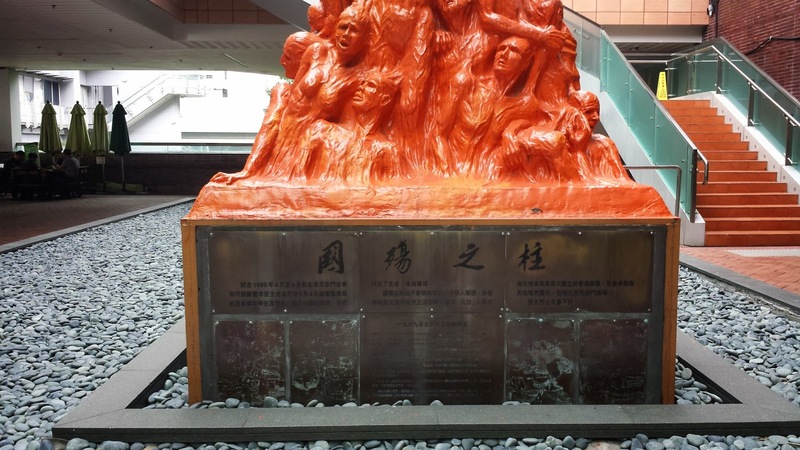 In Chinese, this side have paragraphs explaining the origin and purpose of the sculpture, as well as a brief timeline of the 1989 student movement. 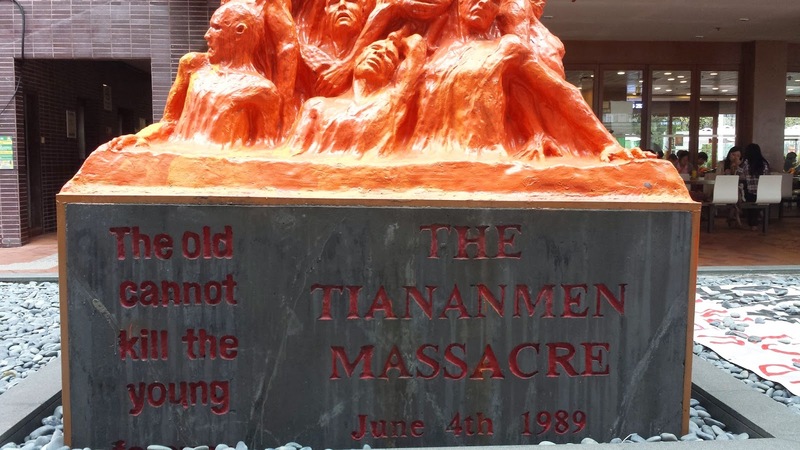 Inscriptions in English: The old cannot kill the young; THE TIANANMEN MASSACRE June 4th, 1989. Various organizations that sponsored and/or contributed to the memorial. In huge Chinese characters, it says "June 4th Massacre." The above pictures were taken on November 6, 2014. 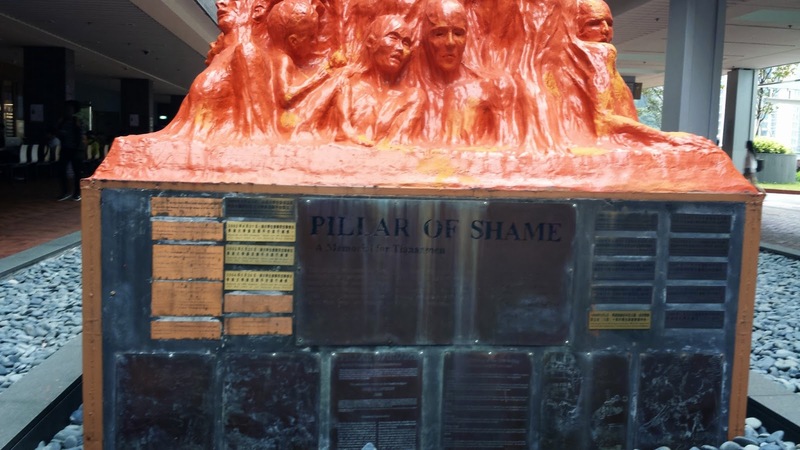 The sculpture is placed right in front of the student union building. According to Wikepedia and the inscriptions, this sculpture is one of a series created by Danish artist Jens Galschiot. It was originally exhibited in Victoria Park in 1997 on the eighth anniversary of the massacre. 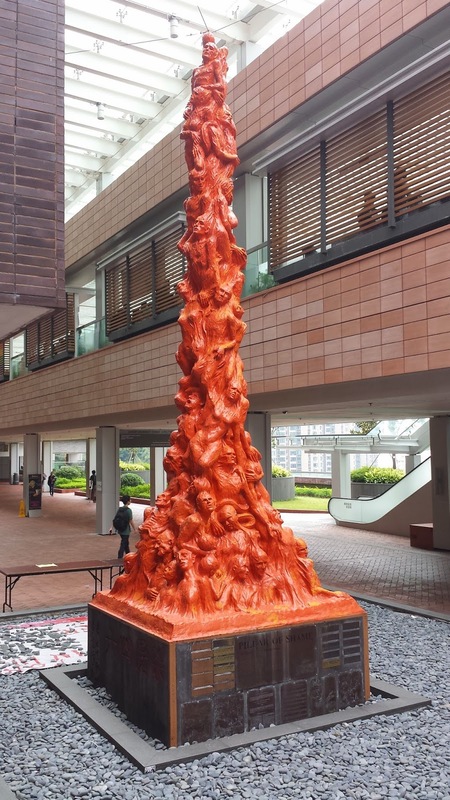 Later, it traveled through various universities in Hong Kong until 1998 when the Hong Kong University Student Union adopted it in its current home. 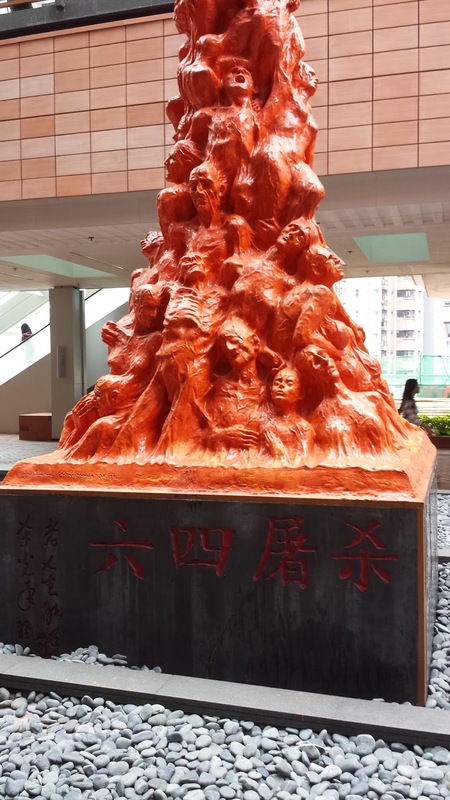 The current orange color of the sculpture was painted in 2008 by the Hong Kong Alliance in Support of Patriotic Democratic Movements in China in 2008 as part of the Color Orange initiative.